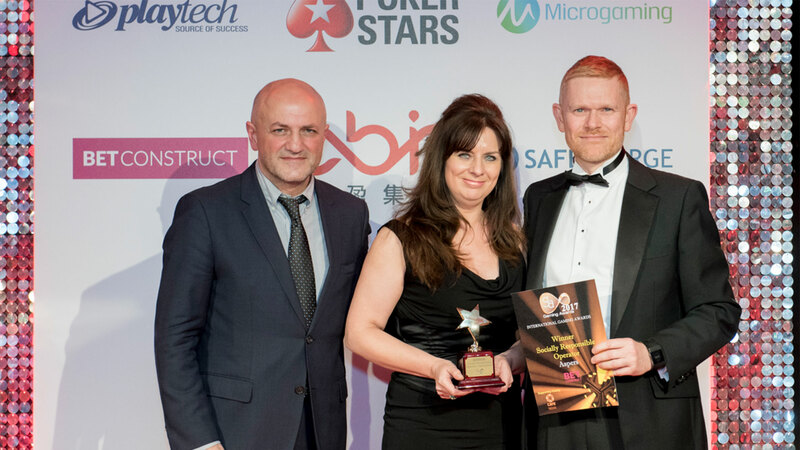 Aspers Group is delighted to have won the top award of ‘Socially Responsible Operator of the Year, Land Based’ for the second time at the prestigious International Gaming Awards, awarded at a gala dinner hosted in London. Beating off stiff competition from many major International casino operators, the judges recognised that Aspers Group has continued to go the extra mile in implementing procedures and safeguards for consumers. Aspers Group won the same peer awarded commendation back in 2013. Richard Noble, COO of Aspers comments; “I am delighted that Aspers’ commitment to socially responsible gaming has again been recognised at the International Gaming Awards. We have long championed the promotion of responsible gambling in the UK through our unique and now well established Community Action for Responsible Gaming (CARG). This is a real feather in our cap”.